Several years ago, I moved to Brooklyn, New York, just outside a Spanish neighborhood. It was here that I was introduced to chayote. Fast-forward to present day: I live in Los Angeles and buy several chayote squash a week to cook with—yes, I said several. It's so versatile and healthy! For the uninitiated, chayote (chai-YOH-tee) is a light green squash shaped like a pear originating from central Mexico. 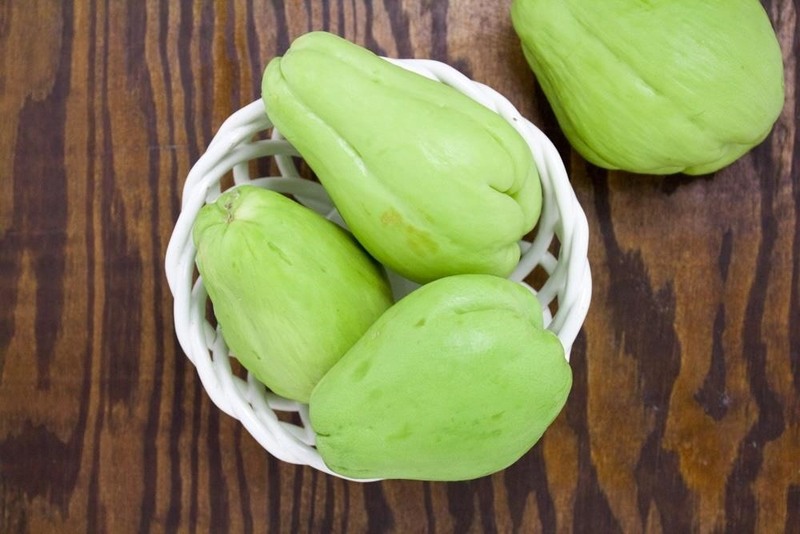 Although it's considered a fruit, chayote is a member of the Cucurbitaceous (gourd) family known for its mild or practically non-existent flavor. Personally, I have a hard time describing the taste but many people say it tastes like a cross between a cucumber and apple. Chayote is high in potassium, a good source of vitamin C, and (best of all) low in sodium and calories. Chayote is grown year round, but their main harvest happens in late spring or autumn. Chances are, if your grocery store carries plantains, they will also have chayote. When selecting your squash, look for a firm piece of fruit—free of wrinkles and bruises. Chayote is a tough piece of produce, so luckily, you won't come across a damaged one often. It's also under a dollar per piece, making it a healthy way to eat on the cheap. First, cut the chayote in half lengthwise. The center will reveal a small, white, egg-shaped seed; scoop this away with a spoon. Now peel the skin from the chayote from top to bottom—similar to peeling a potato. It helps to peel the squash under running water; the skin contains a sticky sap that oozes out as it's peeled (similar to the foam formed on either end of a cucumber when rubbed together). Some people have reported reactions to chayote sap, so you might want to wear gloves if you are peeling it. If you are feeling lazy, don't worry about peeling your chayote—it's perfectly fine to eat the skin, as it provides extra fiber. Just add a little extra cook time to your soup or stir-fry to soften the skin. 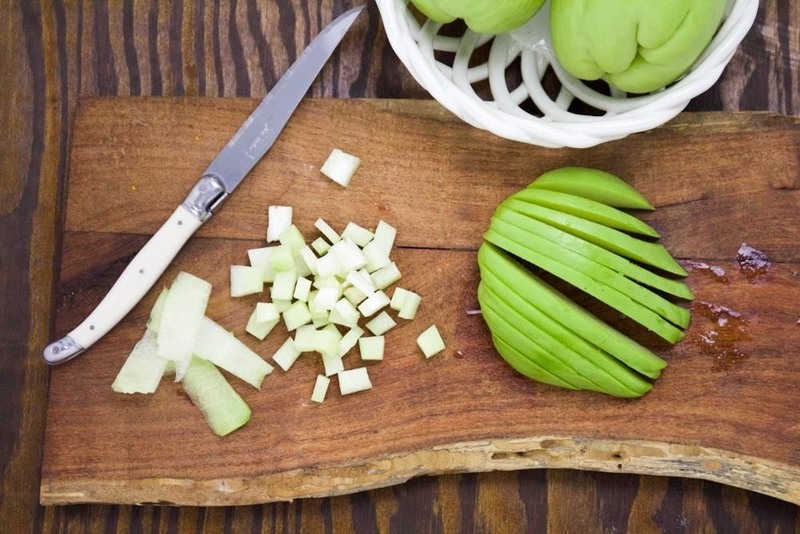 Slice chayote into thin strips or cubes as needed for your recipe. 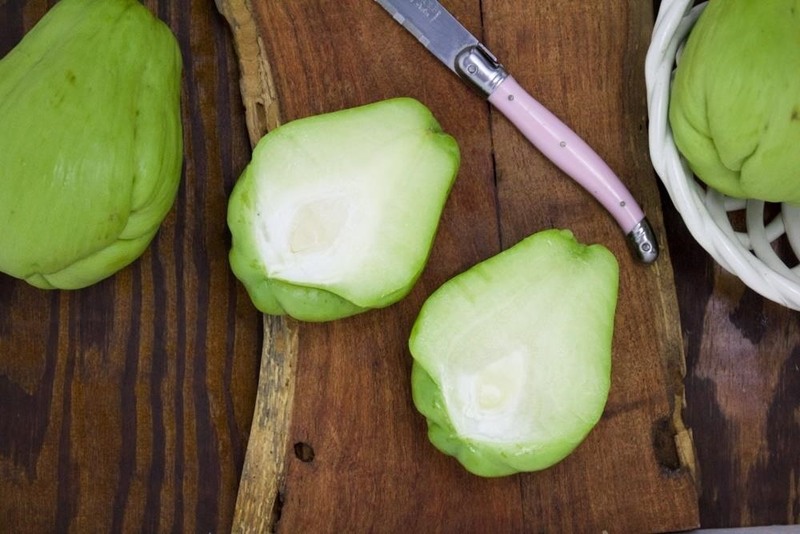 Chayote can be eaten raw or cooked; its mild flavor provides a blank slate for chefs or foodies to experiment with. 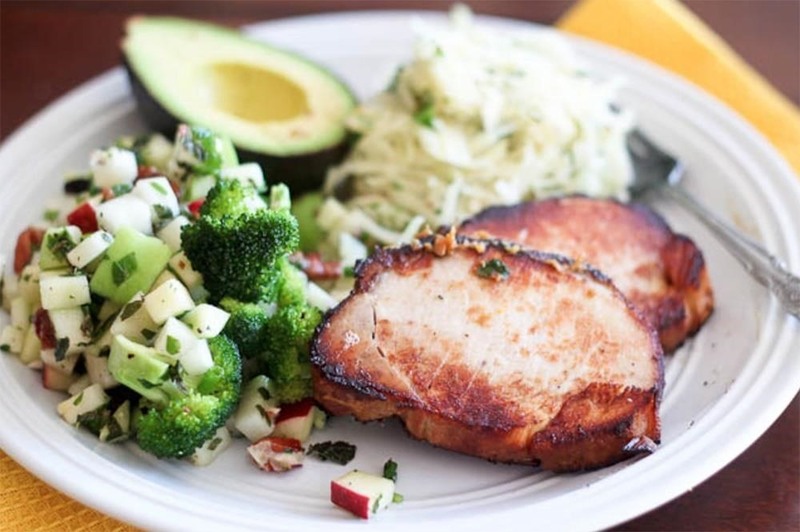 The chayote adds a nice crunch and texture to dishes, while being difficult to overcook. Raw chayote makes a great base for salsa and salads; it also pairs well with all fruits and vegetables. 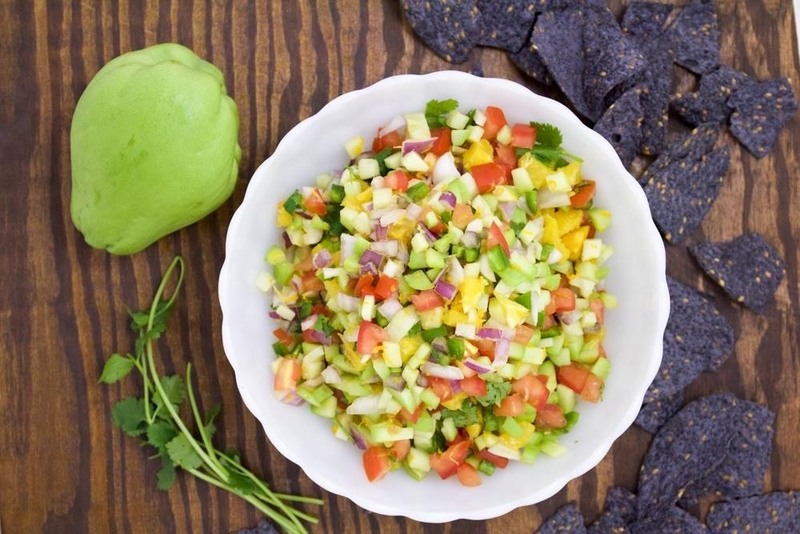 I recommend giving this chayote orange salsa a try—this unexpected combination is delicious. Bake sliced chayote and apples into a pie and learn to love this squash in sweet recipes as well. Kids and adults won't be able to tell the difference between the apples and chayote. 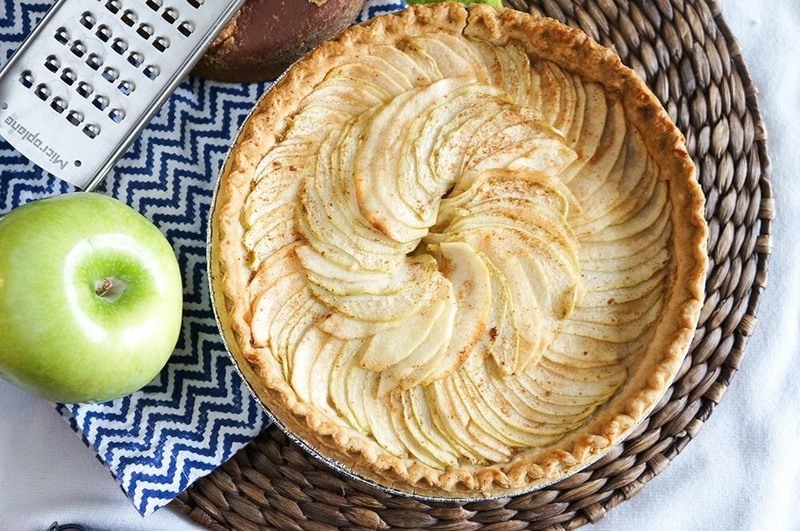 Play with the ratio of apples and chayote to find your perfect pie. 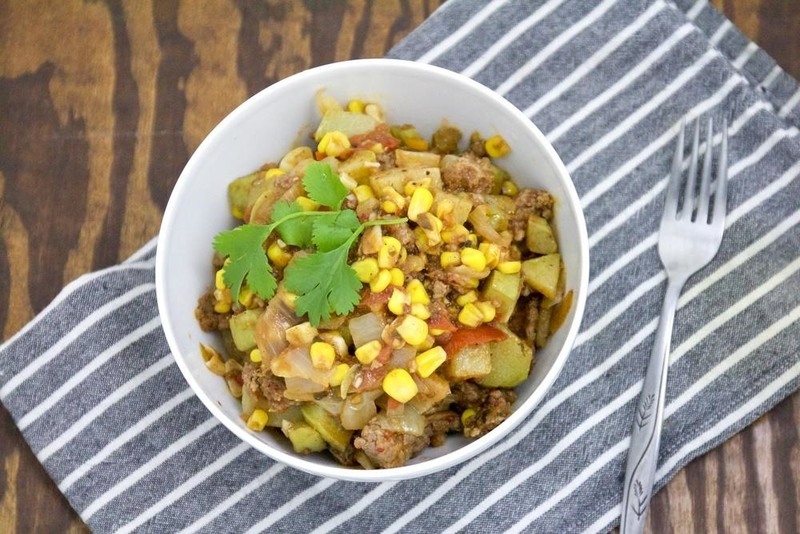 Chop chayote and put it your favorite recipes. It goes great with Latin spices, tomatoes, and corn. 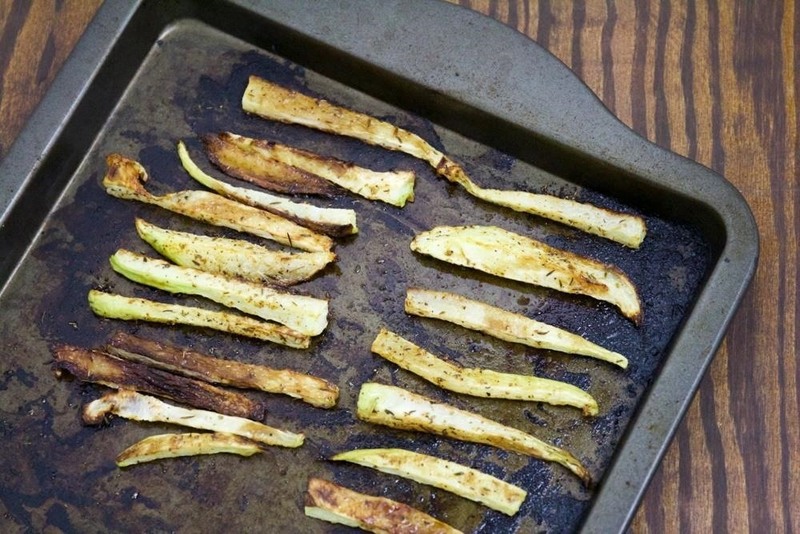 Make healthy French fries from thinly sliced and seasoned chayote, or sauté it with a little garlic and olive oil for a treat. Shred, dice, or julienne chayote into coleslaw or a kohlrabi salad. The next time you are grocery shopping, check your produce section and see if they are stocking chayote; if so, grab a few. This affordable squash will open up some new culinary adventures for you. If you liked this article, follow us on Facebook and Twitter! In Louisiana, we know chayote as mirliton, a favorite recipe is stuff them with seafood, as you would bell peppers. A very versatile and tasty food. Super interesting, Lavon! Thanks for sharing. We pronounce it chai-oh-teh not chai-oh-tee over here near the border -.-;.